Can we take care of our minds the same way we take care of our bodies? Often times, we find this much harder. Living well, and wellness in general; you know, taking care of yourself; can mean so many things. We often associate “wellness” with the physical body. But being passionate about wellness, we have all learned [many times over] that this isn’t the only part of our human existence that needs TLC on the regular. Today, we are talking about cognitive health, and how our beautiful minds truly have an impact on living well. At the very least, this post will offer you our five of our favorite, proven strategies to manage the wandering mind, creative ways to stop negative thinking in its tracks, and how to make mindfulness just as easy as scheduling that workout you skipped this morning. So, can we ever stop worrying? Are there actually proven ways to relieve anxiety? And how in the world are we able to completely eliminate negative thinking? The answer isn’t simple, but it isn’t hard, and once you allow yourself to realize how powerful your thoughts are, you’re immediately in a better position to drive them. Stop worrying, feel the anxiety, just don’t let it hold you back. Easier said than done, right? As human beings, it’s inherently difficult to relax and focus with the intense levels of stimulation we receive every minute of the day. Your brain is literally wired to stay busy and overthink. The good news; once you acknowledge those negative thoughts, once you feel the anxiety, your mind can just as quickly be rerouted to a place of positivity and serenity. Try our top five strategies & let us know how you make out in the comments below! Reframe ALL Negative Thoughts. Becoming aware of your thoughts, allows you to challenge and change them. Have you ever heard the phrase, ‘we are what we eat’, well that might be true, but we are also EXACTLY what we think. The power of positive thinking is first on the list because it’s the easiest. This strategy has been researched for decades. Positive vibes are contagious, but so is all that negativity. Be conscious of that as you find what works best for you. Meditation. Obviously, one of our most coveted. Meditation is powerful, and it allows us to create space in our minds for enjoyment and for happiness. It doesn’t have to be silent and it doesn’t have to be in a dark room with a candle lit. Successful meditation just has to be significant. Try lying in Shavasana [corpse pose] for a little bit longer than what is comfortable, you’ll feel it there. You can sit in your favorite seat, and start from your toes to feel your energy all the way to the top of your head. Breathe Deeper. We know you’ve heard this one before because breathing deep is a strategy practiced and proven by many. Focus your breathing. Another nod to yoga, which offers endless, applicable strategies to meditate better and free our minds of distraction. Deep breathing increases the oxygen to your brain which induces physical and emotional calmness. Breathing techniques can help you connect to your body; bringing your awareness away from that noise in your head. Take Some Action. Use your energy for something constructive. Take positive and deliberate action. Make a decision or a plan. Figure out your next move. Do something completely different, like go for a walk to distract yourself from whatever instance you are in. Cook your favorite meal, go for a run with no headphones in, go outside and stretch, watch the funniest movie on your DVR, read your favorite page of Wuthering Heights, crack a smile, and then come back to the item of concern with a new perspective. Get It ALL Out. There are going to be times when you just can’t shake it, right? And no amount of positivity or optimistic practices can change your perspective. Instead of allowing your mind to dramatically go off the deep end, just let yourself have a freak-out. But schedule said freak out, acknowledge that it’s only temporary; let’s say for five to seven minutes. Expressing yourself in any manner is often cleansing. Try writing, yes, with a pen and paper. This is a classic and sure-fire way to give your mind a therapeutic release. If you can’t seem to find your center or teach that beautiful mind of yours some new tricks, try digging deeper, testing different strategies, and giving it more than one try. Order a book (we’ve got one below for you), ask for suggestions from friends and family. Talk about it, don’t think about it. The more we talk about it; managing the stress, deleting the negativity from our newsfeeds and timelines; the easier it will be to find solutions & become better at practicing them. Wall Street Journal bestselling author SJ Scott wanted to be Luke Skywalker when he grew up. Since that didn’t work out for him, he’s become a writer and offers up some invaluable content. You might already know this, but at The Daily Guru, we have a ridiculous amount of “favorite” books. 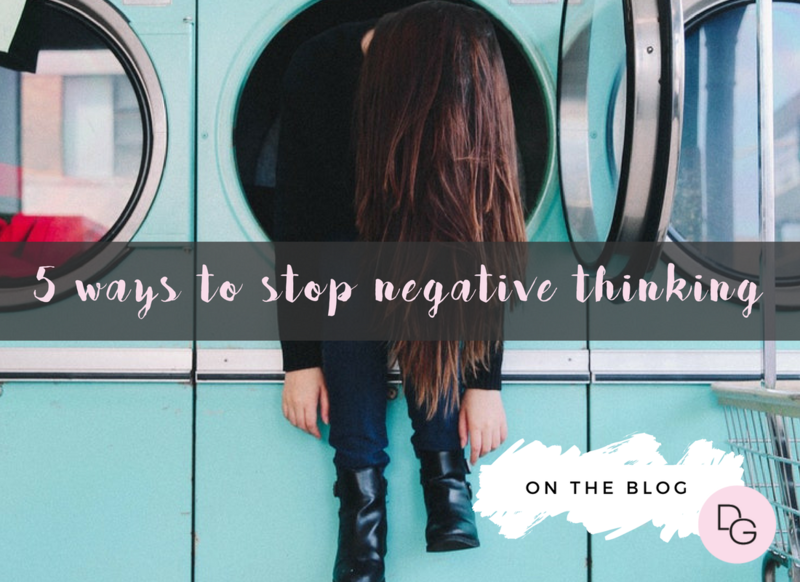 Today, we want to share one with you and continue the conversation on managing your negative thoughts. Declutter Your Mind offers strategies & tools to help us clean up the mental clutter distracting us from living our best lives.